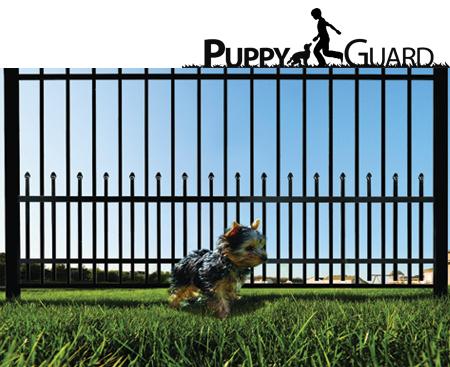 American One Fence & Railings’ patented add-on aluminum panel is Puppy Guard. It can be added on to most existing aluminum fences or new aluminum fences. It is designed to reduce the spacing between the pickets of aluminum fences in order to contain small animals inside, or outside, the fenced in area. The addition of an aluminum strap is recommended for Picket Bottom Fences. Every Mainstreet aluminum product is protected with our Armour Shield, a super tough powder coated finish.